Much like the episode 8 phenomenon I pointed out some time ago, there’s something that most 11 and 22-episode shows have in common besides their odd length. At least nine times out of ten, a series with one of these rare episode counts is bound to be among the most unusual anime on TV. I first noticed this about 22-episode anime after seeing Texhnolyze and Red Garden, two of the most unusual anime ever made, which for a long time were the only 22-episode anime I’d even heard of. 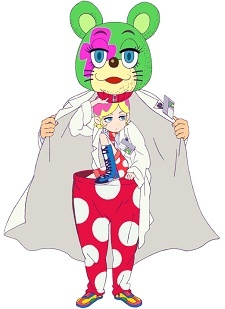 The 11-episode phenomenon came to my attention after Kuuchuu Buranko and Youjohan Shinwa Takei. If you’ve seen any of the four anime I just mentioned, you’ve probably already begun to understand the significance of this phenomenon. And these episode counts *are* exceedingly rare. Performing a MAL search of TV anime by episode count, there’s only about 1 page worth of either number out of over 100 pages. That almost every anime with 11 or 22 episodes is distinctly unique says to me that it’s being done on purpose. One common trend in the recent shows with these episode counts is belonging to the noitaminA time-slot, which is itself dedicated to unique anime; however, it is neither the case that all of the shows in this phenomenon are from that time-slot, nor that everything in that time-slot is 11 or 22 episodes long. Here are examples of some 11 and 22-episode anime that I particularly enjoyed.